After an exciting game between Kings XI Punjab and Rajasthan Royals, the action now shifts for a derby. The 33rd game of the IPL 2019 will be held between the Sunrisers Hyderabad and the Chennai Super Kings at the Rajiv Gandhi International Stadium in Hyderabad. The Sunrisers Hyderabad went need a few more victories to keep their playoffs hopes alive. But before we get into the live streaming, live score details of the match tomorrow, let’s have a look at the IPL 2019 Points table. Sunrisers Hyderabad vs Chennai Super Kings Live Cricket. 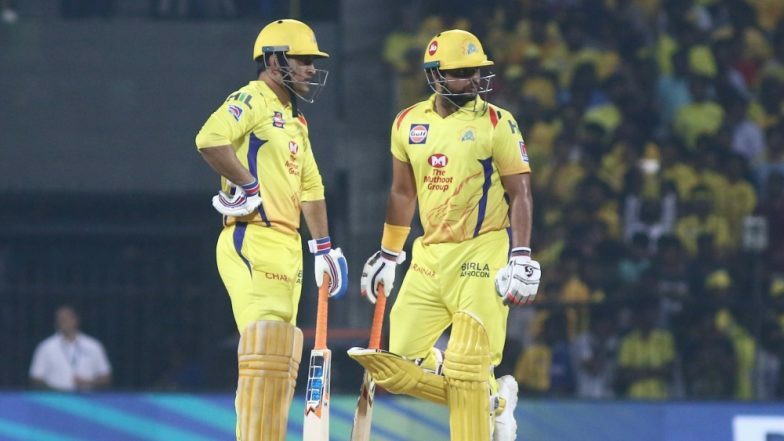 Chennai Super Kings continues to lead the IPL 2019 points table with 14 points. Delhi Capitals are on number two with 10 points and the Mumbai Indians are on number three with 10 points. The fourth slot is occupied by the Kings XI Punjab with 10 points. IPL 2019 Points Table Updated: KXIP Climbs to Fourth Spot on the Indian Premier League 12 Team Standings With Win Over RR. After losing a couple of matches, the Kings XI Punjab are back to winning ways as they went on to beat the Rajasthan Royals. The Kings XI Punjab presented an all-round performance to defeat the Rajasthan Royals in Mohali. Ravichandran Ashwin who snapped a couple of wickets went on to be the Man of the Match. KXIP vs RR, IPL 2019 Stat Highlight: Kings XI Punjab’s All Round Performance Hand Rajasthan Royals With Their Sixth Defeat. Sunrisers Hyderabad vs Chennai Super Kings, face-off in the IPL 2019 match 32. It will be played at SRH’s home venue- Rajiv Gandhi International Stadium - Hyderabad. The SRH vs CSK is scheduled to begin at 08:00 p.m (IST). Fans can watch the IPL match two both on TV and via online streaming. Star Sports holds the telecast rights of IPL 2019 and will broadcast the match live across its network. The live streaming online of IPL 2019 will be available on Hotstar app and website. Fans can click here, for SRH vs CSK live score updates.